Looking for the perfect gift for a loved one? Today we're rounding up some of our favourite (and free!) present pattern ideas, including some splendid socks, terrific toys and beautiful beanies! 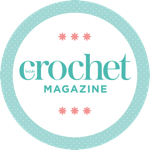 We look back on some of our favourite festive projects from past issues of Inside Crochet! A crafter's favourite time of year! From handmade gifts, to decorations and keepsakes, Christmas is such a busy time for crocheters... Today we're looking at decorations. This December, give the perfect Christmas present – one that can be enjoyed throughout the year – with our special Christmas gift subscriptions. Happy Berry Christmas, day 12 revealed! A free pattern every day until Christmas eve with Happy Berry Crochet! Claire Montgomerie's decoration 'paper' chain is a must-make this Christmas! It's never too early to get started on handmade Christmas decorations. Here are some ideas and a free pattern to get you started!